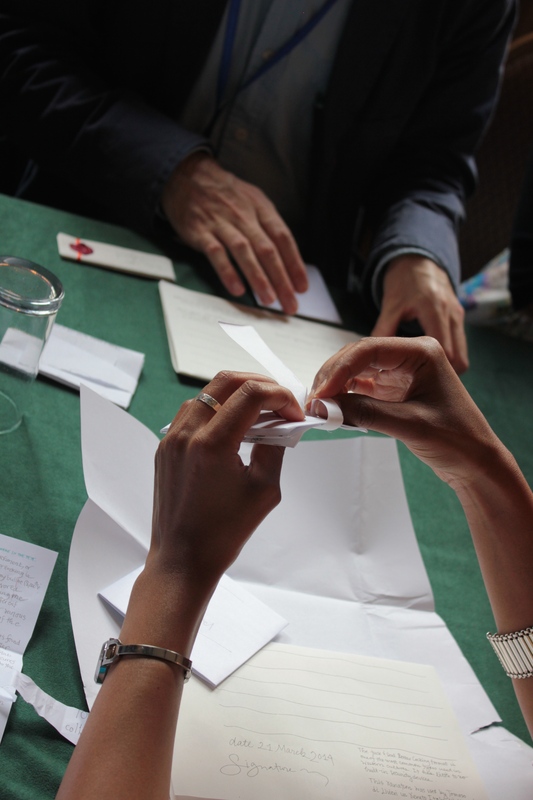 letterlocking | What is a letter? First impressions are important. When I receive mail – physical items by post, that is – simply the size and shape of the envelope tells me something about the sender. A5-sized envelopes (well, C5-sized, but you know what I mean; ditto below) tend to be bills or notes from the bank, A6 and smaller are probably greeting cards and concentrate around public holidays and birthdays and the like; A4-sized envelopes are rarer, but can contain official papers as well as missives of condolences. 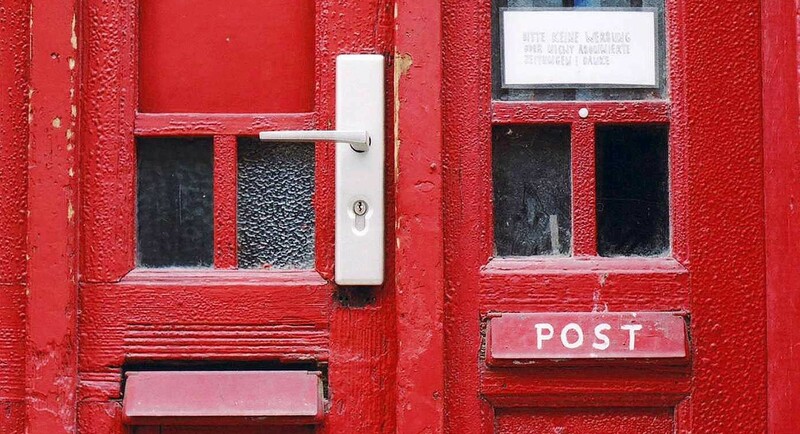 There is cultural variation, of course, and the range of shapes and sizes of envelopes as well as their meanings vary between countries and continents. In the early modern period, envelopes in the modern sense did not exist. Instead, letters would be folded to form their own covers. This skill was taught as a matter of course as a part of other letter-writing skills, such as learning the right opening and closing formulas, and how to write superscriptions (addresses). 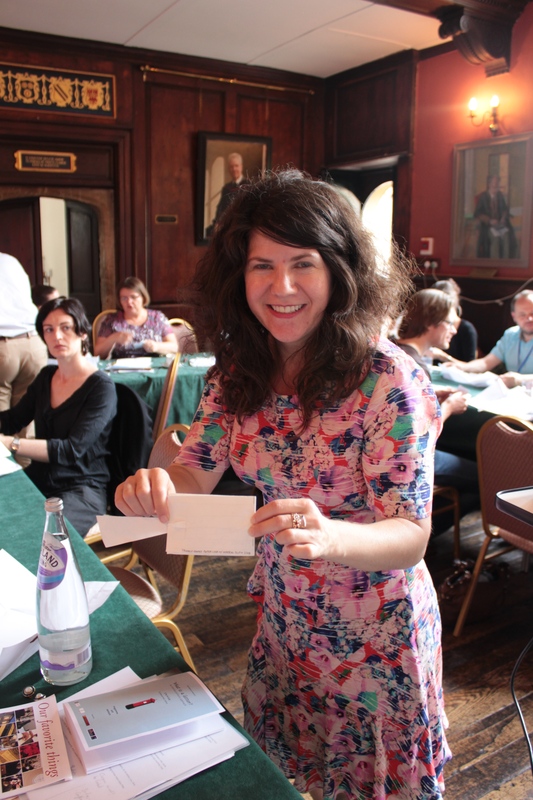 Jana Dambrogio has coined the term letterlocking for the practices of folding, securing and sealing letters. At this stage, we still know next to nothing about the vast field that is letterlocking. 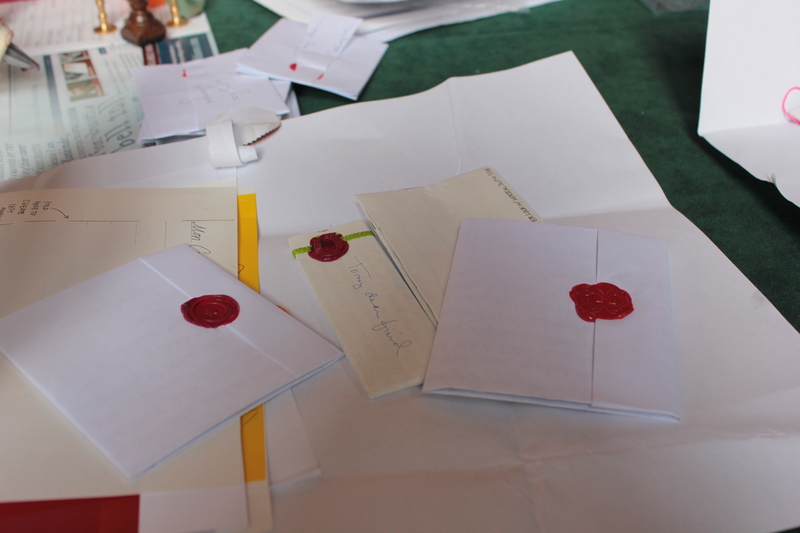 We have only begun to chart the myriad ways in which letters were folded, secured and sealed. We know very little about change over time from Antiquity to the present day, or about regional variation. And we have only vague conceptions about all the meaning that different types of letterlocking conveyed across time and space. This is incredibly exciting: so much unexplored territory! Research on epistolary materiality has already shown that material features can reveal social codes and meanings (see esp. James Daybell’s 2012 book-length overview). This applies not only to what letters are physically made of and how they are folded, but also to what I call textual materiality, features like layout or mise-en-page, and also more subtle aspects such as script and hand. Layout, being the most immediately visible ..er, visual non-linguistic aspect of the text of a letter, naturally attracted the attention of scholars first, and thanks to scholars such as Jonathan Gibson (1997) the concept of significant space is now widely known. This entry was posted in Reblogged and tagged early modern letter writing, letterlocking on 13/03/2016 by mis. Description: From the place of Cicero’s intimate letters in the development of Renaissance humanism, to the knowledge networks of merchants, collectors and scientists, to the role of women in the republic of letters, recent years have seen a flowering of studies on the practice of letter-writing in Early Modern Europe, as well as major editing projects of early modern letters – Hartlib, Comenius, Scaliger, Casaubon, Browne, Greville, and the EMLO and Cultures of Knowledge projects. This conference will explore the many aspects of early modern epistolary culture in the sixteenth and seventeenth century in its Latin and vernacular forms. It will consider topics such as the intellectual geographies of letter-writing, the connections between vernacular and Latin letter cultures, questions of genre, rhetoric and style, as well as the political, religious, and scientific uses of letters. This conference brings together speakers, both established and emergent, from around the globe, who are working on early modern letter writing and its networks, whether professional, for personal and intimate communication, or within scientific and humanist cultures. Strands of the conference will explore the material forms of writing, letter writing theory, and the importance and use of existing collections. Speakers come from a multitude of disciplines and one key goal of the conference will be consider how these disparate areas respond to early modern letter writing theory and practice. 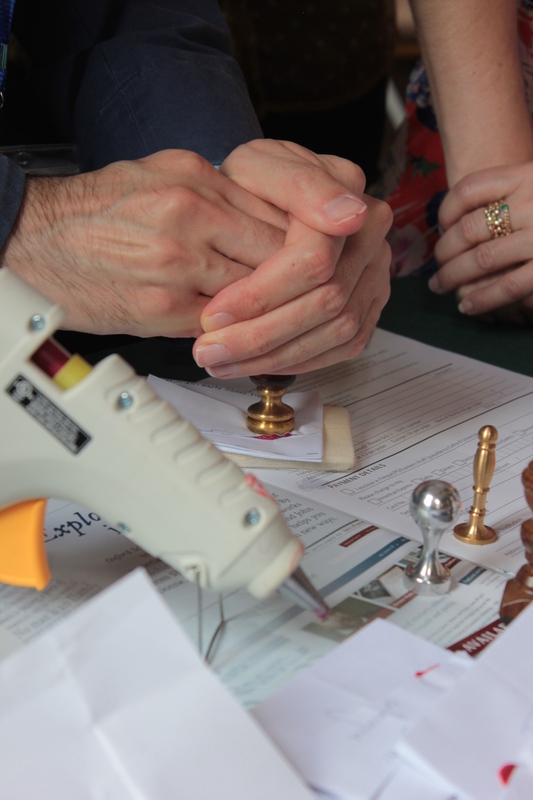 The conference includes a workshop, which involves hands-on reconstruction of early modern letter writing devices for ‘letter-locking’ using paper, wax and seals, led by a team from MIT and Oxford. This information was originally published on the website of the Centre for Renaissance and Early Modern Studies, University of York (CREMS); a conference programme and further information can be found there. This entry was posted in Conference and tagged CA, CREMS, early modern letter writing, letter writing, letterlocking on 08/09/2015 by mis.